Eye Movement Desensitization & Reprocessing (EMDR), as reported by emdr.com, is utilized by over 100,000 practitioners worldwide, recognized by the WHO and American Psychiatric Association, and has been growing in popularity for 25 years. With its eight phases, a person can go from feeling entirely controlled by his or her trauma to feeling free from it and empowered to let it go and move on. To keep it simple, here is a quick overview of the process of EMDR. Over the 8 phases of treatment, the client is assessed, offered methods of self-soothing for in between sessions, and problems are targeted and processed with the eye movement technique. In the last few sessions, the client is invited to keep a log and then evaluate his or her progress. You’ve probably heard of Rapid Eye Movement or REM sleep; this is when, in your sleep, your eyes move back and forth swiftly and repetitiously. This isn’t a pointless tick; this is the part of your sleep when your brain is processing and, believe it or not, “editing” information. Studies prove that children who experience more REM sleep are mentally, physically, and emotionally healthier because of this natural processing. Thus, the mimicking nature of the EMDR process is believed to be the reason for its effectiveness in treating patients who seem “stuck” on certain memories or experiences. So, does the EMDR process get rid of anxiety, addiction, or PTSD? Well, not exactly. You aren’t going to start feeling better by just moving your eyes back and forth. In concurrence with this procedure, it is imperative to process the traumatic event with a trained therapist. The eye movement is simply a way to kick-start your brain into remembering the event and the vivid images so that it can be reprocessed in a safe and healthy environment with a professional that can help you rise above the experience and gain perspective. Think of what would be most helpful if you were ever to get lost in a big city. To reorient yourself, you might want to climb a tall building and look down to navigate back to your goal. EMDR can act as that set of stairs in which you rise above and look down from a vantage point that can help you get out and walk away from it. 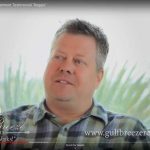 Gulf Breeze Recovery views EMDR as one of the many catalysts that allow an addicted person to gain perspective and regain confidence and control in their life. With Gulf Breeze Recovery’s THRIVE ® program, Eye Movement Desensitization and Reprocessing are utilized, when appropriate, during the fourth stage, mental health recovery. Mental health is vital to letting go of an addiction, and the personalization of treating mental health is what sets Gulf Breeze Recovery apart from the rest- you aren’t required to follow a set of rules to gain recovery, the plan is tailored to your needs and timeline. This is all part of the philosophy of total health recovery that you or your loved one will enjoy and love at Gulf Breeze Recovery.